Karyn South Naturopath is a natural health clinic offering modern complementary medicine. Whether you’re looking for professional help in preventative medicine, a wellness programme, trying to cope with the stresses of modern life, or get well from a chronic illness, I can help. practical support, tried & trued methodologies and a treatment plan tailored to you. 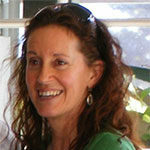 Karyn South is a fully qualified and accredited Naturopath using effective, natural therapies. She has the knowledge, experience and empathy to get to the heart of your health needs or wellbeing goals, offering practical strategies to work with, while supporting any other treatments you may be taking. Karyn is passionate about helping people lead happier and healthier lives and is fully trained in naturopathy, nutrition, colon therapy, iridology, Bowen Therapy and Intuitive Counselling. She is dedicated to integrating scientific evidence and traditional knowledge with a holistic understanding. Her analytical approach seeks to identify all aspects from the underlying imbalance to the best strategy for each individual case; this is the art of putting it all together. As a naturopath, Karyn believes that there are two aspects to the important task of maintaining and restoring your health. Firstly, it is important to adhere to natural laws… having a good diet and getting enough sleep and adequate exercise is a start. Fulfilling social relationships are also vitally important to health. They foster a sense of purpose and belonging: this is the “spiritual” side of health, which for some extends into the religious; but for our purposes let us just say that we need a sense of meaning in our lives, whatever the source. Stress management is important. For some this will simply be a hobby; there are however more powerful forms of relaxation such as meditation or yoga, whose techniques have evolved over thousands of years. Karyn has a special interest in stress-related disorders and imbalances of the digestive and nervous system. A mother of three and grandmother of seven, Karyn loves working with people of all ages (the elderly to babies and children), drawing on her own treatment experience with her large family and many other children in the clinic. Assisting you to get in touch with your feelings and innate intuitive ability to find your own answers.